5/10/18 :: 2019 Alamo Half & Alamo Run Fest Race Date now set. Get ready to run on March 16th & 17th, 2019!! 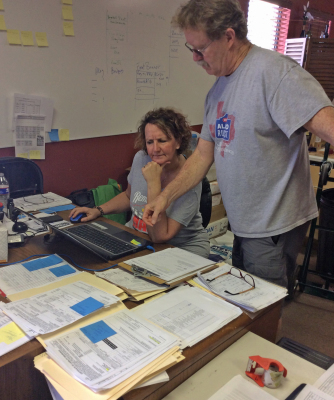 Special 'Early Bird' registration is NOW OPEN for the 2019 Alamo Half thru May 31st, with a special Referral Rewards incentive included. 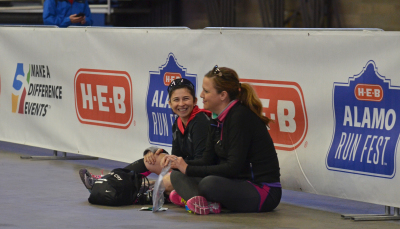 The 'Early Bird' entry period for the Alamo Half and the Referral Rewards ends and closes at midnight on May 31st. 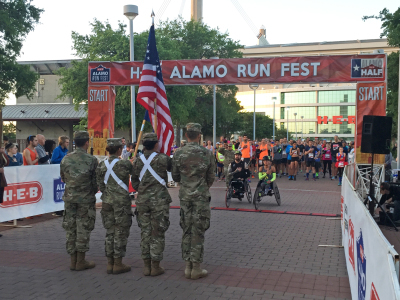 Active Military and their dependents still qualify for a 20% discount on their entry to the Alamo Half during the 'Early Bird' entry period! 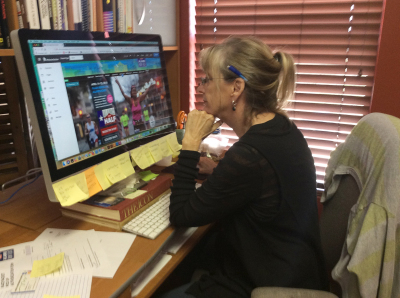 The Regular 'Early' Entry Registration for ALL Alamo Run Fest events will open on June 4th. 4/18/18 :: Photos are live!! Go to your race page and click the link to FinishPix on the or to the Photography page. 4/17/18 :: Run, Walk & Roll 1K Photos are live!! 4/15/18 :: RESULTS are posted! 4/12/18 :: Online Registration IS NOW CLOSED. Late Registration available at Packet Pick Up. Check details here. 4/11/18 :: Check out today's TV interviews on SA-living and [email protected], with Carl Owens, race director of the Alamo Run Fest! 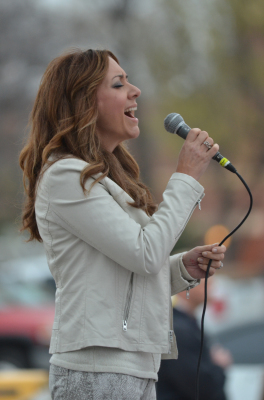 We are so excited for this weekend! 4/10/18 :: We are excited to announce our Finish Line Celebration Musicians! Weclome the Jesse Stratton Band! Check them out here. 4/11/18 :: Kids will enjoy seeing a number of cartoon and super hero characters at the Run, Walk & Roll 1K on Saturday, courtesy of Just Add Kids. 4/9/18 :: Official Alamo Run Fest shirts are here and lookin great!! Check out your event page! 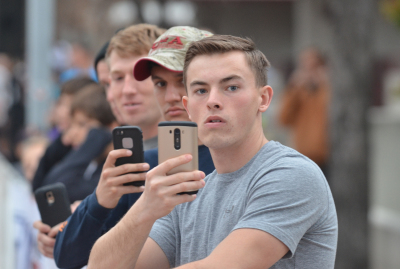 4/9/18 :: You'll get fantastic Photos from FinisherPix! Check it out! Also, see each race page for more info on to pre sign up for faster turn around. 4/6/18 :: Race Guards will make their first ever appearance in San Antonio, at the 2018 H-E-B Alamo Run Fest. 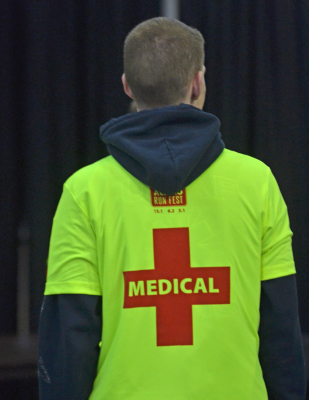 Race Guards is comprised of volunteers trained in CPR, AED and First Aid who are committed to assisting race participants with any medical or physical support need in a race. Race Guards work in concert with the event's medical director and medical support team to help provide medical support from start to finish and add an additional layer of 'medical eyes' on the race course. 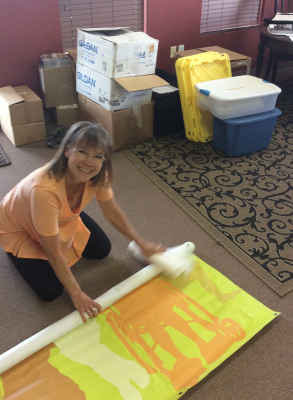 Race Guards will be easily identified on the course with their bright Race Guards jerseys! 4/5/18 :: ALL USA Track & Field (USATF) Course Certifications for the Sunday events have been updated and issued by USATF for the 2018 events. The USATF Certification numbers can now be found on each of the different event route maps on our Course Maps page for the H-E-B Alamo Half, Alamo 10,000 and Alamo 5K! 4/5/18 :: Check out the steller list of Exhibitors at the Health & Fitness Alamo Expo, April 14 & 15th! 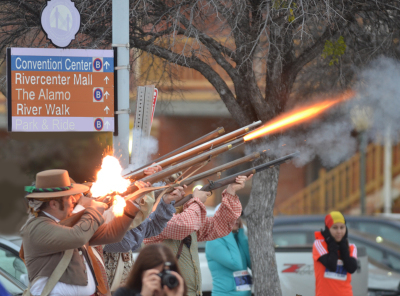 4/4/18 :: To celebrate SA's 300th the Alamo Run Fest is exited to add another challenge this year! 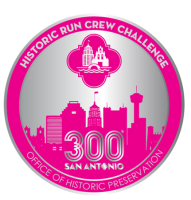 The Historic Run Crew Challenge! A mini- scavenger hunt with a prize at the end! Check it out here!! 4/4/18 :: The ALAMO 5K Finisher Medal - also commemorates San Antonio's Tricentennial has been added to the Alamo 5K page!! 4/3/18 :: The ALAMO 10,000 Finisher Medal - also commemorates San Antonio's Tricentennial has been added to the Alamo 10,000 page!! 3/25/18 :: Parking Info for the Alamodome and Parking Map now available on the Hotel & Travel page! Click here! 3/29/18 :: The ALAMO HALF Finisher Medal - also commemorates San Antonio's Tricentennial has been added to the Alamo Half page!! 3/28/18 :: Race T-Shirt Update! Participants are able to change shirt size until 4-1-18. 3/24/18 :: BE INSPIRED! Want a little motivation for what's coming your way at the 2018 Alamo Run Fest on April 15th? Check out our new 'Be Inspired!" page where we've added some short videos on event from past years. Get "pumped up" to run! !